Eco friendly. 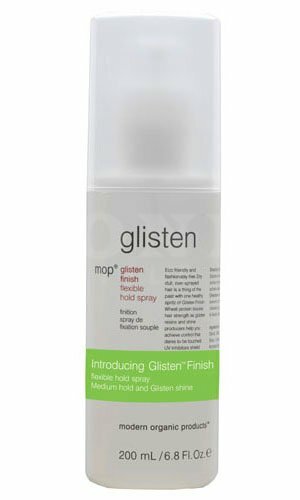 Dry, dull, oversprayed hair is a thing of the past with healthy spritz of Glisten Finish. Wheat protein boosts hair strength as Glisten resins and shine producers help you achieve control that dares to be touched. UV inhibitors shield hair from harmful rays. Finish your style with medium hold and Glisten shine.